The CAT5-5000 simply and efficiently extends two analog monitors, a USB-based keyboard/mouse and audio signals hundreds of feet from the computer using CAT5 cables. 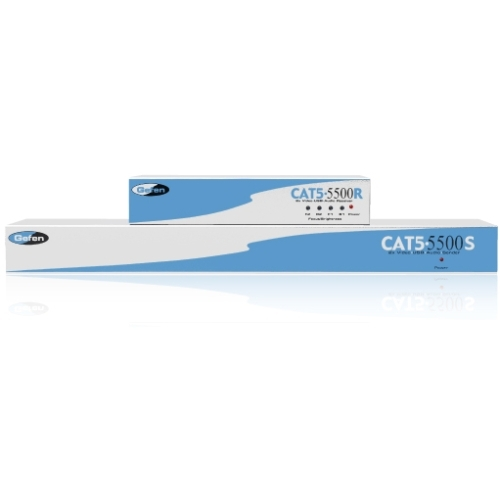 It comes in two versions: the CAT5-5000 sends video, audio and control signals up to 330-feet from the computer; the CAT5-5500 sends video, audio and control signals even further, up to 450-feet from the computer. Each model uses two CAT5 cables to transmit the signals. Both are designed for those who prefer to operate a dual-display computer workstation in a stable, quiet and secure location far away from the computer.